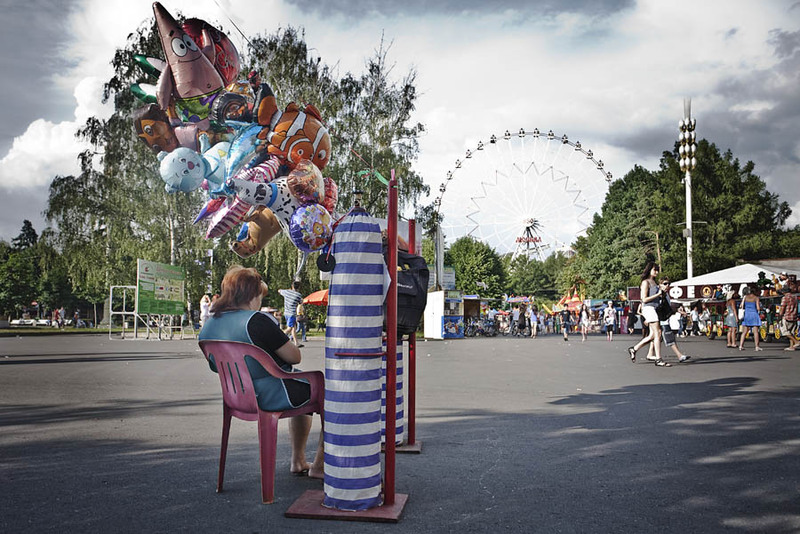 A lady sells balloons in the amusement park VDNKh in Moscow, Russia. As part of my stay in Moscow last June. VDNKh is a exhibition area with not so many things exhibited there. It is however a very nice place to have a evening walk in the summer warmth.